Consider lodging accommodations at a West Dundee, Illinois bed and breakfast for your Kane County tourism. West Dundee is a village in the Chicago metro area named by Alexander Gardiner after his hometown in Scotland. It lies across the Fox River from East Dundee and Carpentersville. 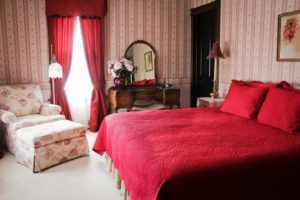 Since Chicago is less than an hour away, a B&B in West Dundee can be your home base for all that the city and the surrounding area have to offer. Area activities include water sports, fishing, and hiking in the warm months and skiing, ice skating, and snowboarding in the winter. There are shopping opportunities at Spring Hill Mall, antique markets, or Kane County Flea Market. For diverse interests, you can find microbreweries and minor league baseball as well as theatre and symphony performances. Events include the Kane County Fair and festivals during the summer and fall. Restaurants in the area offer a variety of cuisines and range from taverns to cafés. Selecting an inspected and approved member inn of the Illinois Bed and Breakfast Association as an alternative to typical hotels guarantees a unique and memorable experience.